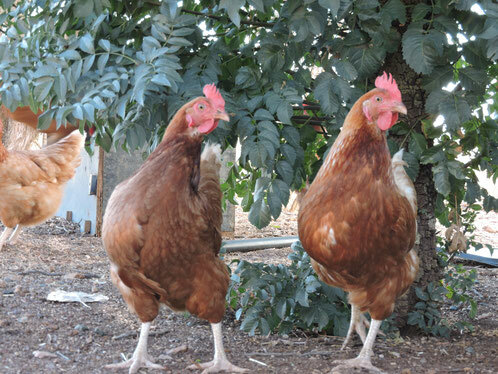 It all started with a few chickens! Darren and I (Sharon) lived in the beautiful leafy suburb of Belgrave Heights. We loved where we lived and were happy living so close to nature. I really wanted some back yard chickens, Darren wasn't too keen on the idea of eating an egg from a chicken we have on the property, but I pushed hard and we got our chickens! After we tasted "OUR" free range eggs we were absolutely amazed at the flavour and the difference to the eggs you purchase at the supermarket. This then started the beginnings of our interest in our food and where it came from. We had a friend who travelled the world for her work who introduced us to what she called "Happy Meat", as in she wouldn't eat meat UNLESS it was ethically produced. This coincided with a neighbour of ours moving onto a larger property where he raised his own lambs. The taste difference of the lamb our neighbour grew to what you buy in the shops was incredible. We wondered why? The incredible difference in the flavours of the meat and our eggs, made us look further into the food we were eating, where did it come from, how it was produced and how did it taste? We then began to think about growing our own food and how were we going to be able to achieve this. Simple answer, buy a farm! If we bought a farm, we needed the farm to be able to make money to cover our other income. We looked at farming beef cattle, however we quickly worked out we would need thousands of acres to make this kind of farming profitable. We liked watching the cooking shows, such as Jamie Oliver and River Cottage, this gave us the idea about pork! Who doesn't love bacon and good roast pork on a Sunday? We then found out a lot about how pork is produced in Australia, and we believed there was a way to produce ethically produced pork. We signed up for a course just outside Sydney and travelled there for a 1 day course to see if this type of farming was for us. We soon regretted just signing up for the 1 day course and immediately signed up for the full 2 day course on the next available date. The Farm search began! We looked for almost 2 years for the perfect farm for our new venture. We started looking in Gippsland and quickly found suitable properties were well out of our budget, we wanted a lot of land because we didn't want to overcrowd our pigs. 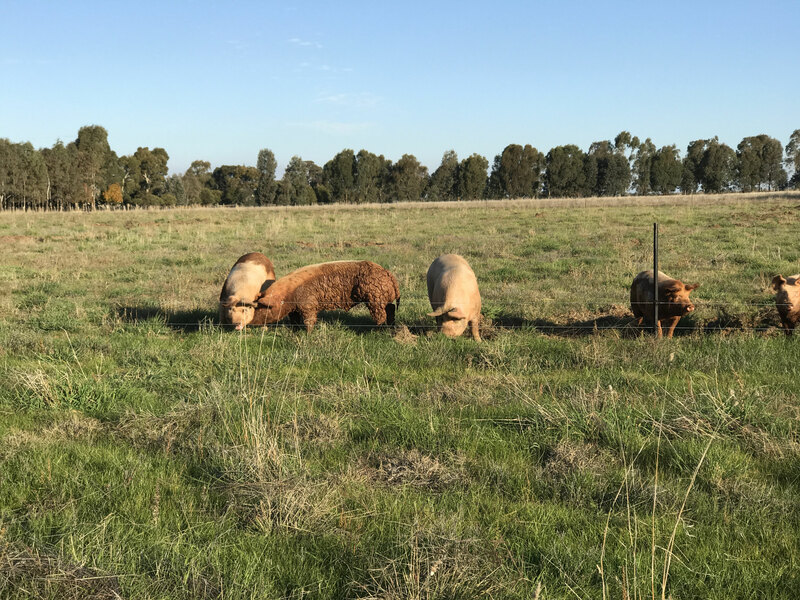 We headed north of Melbourne where we found lots of suitable land with lots of water and a more open attitude to the production of paddock pork. We finally settled in the gorgeous Goulburn Valley where our paddock to plate experience begins! We believe in producing ethically grown pork without compromise, the welfare of our pigs is always paramount. We believe that ALL animals should be treated with respect through their entire life. We believe that pigs should be allowed to live happily outdoors in a free range environment to display the natural behaviours of pigs. This allows our pigs a happy life, and in so makes our meat taste amazing, as the pigs have been allowed to grow naturally without hormone enhancements. We are so proud of the way our pigs are produced and how our animals are treated. We love to have visitors come and see the way the farm is managed and run on a daily basis. Not to mention the pigs love a good scratch from all the new visitors. Our pigs are Ractopamine or commonly known as PAYLEAN Free!